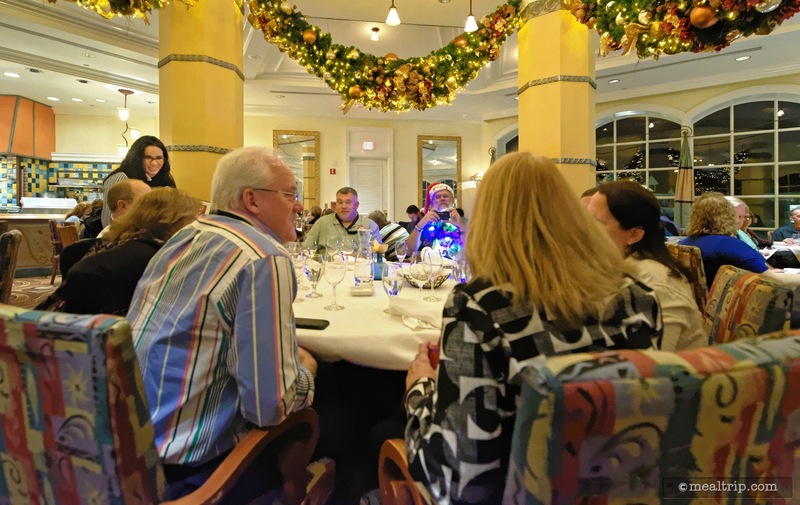 The Highway in the Sky Dine Around event includes dining stops at all three resorts that are connected by the Magic Kingdom monorail… the Contemporary Resort, the Polynesian Resort, and the Grand Floridian Resort. The five course culinary journey includes stops at the Contemporary's "The Wave" lounge, the Polynesian Resort's Trader Sam's Patio, Citricos and the Garden View Lounge at the Grand Floridian and finally, back to the Contemporary for dessert, cordials and coffee on a 4th floor landing featuring views of the Wishes firework show over the Magic Kingdom. 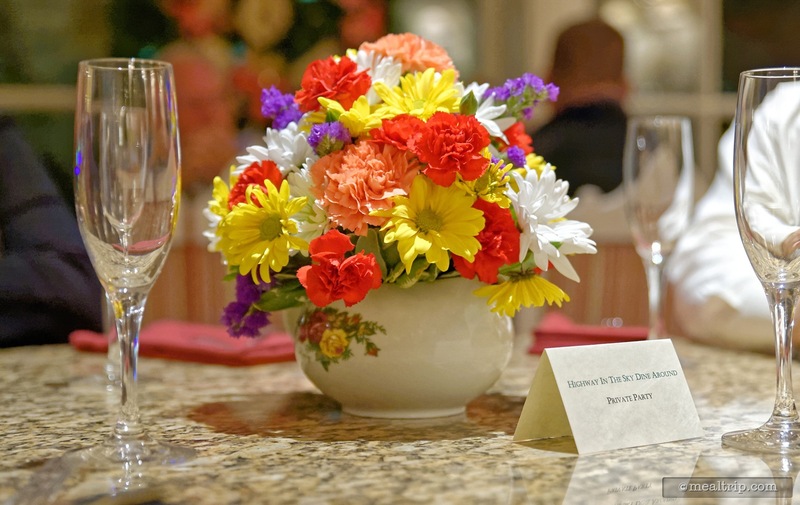 The event is only available on select nights and reservations are highly recommended as this is a very popular event. Click the "Visit Their Site" button above to read about dates, current pricing and booking information from the official Disney site. The Highway in the Sky Dine Around is a VERY popular new dining event that combines a five course dinner at five resort dining locations, multiple trips on a monorail, small setting socializing opportunities with other food and Disney fans, and a reserved firework viewing location to close the night out. I have added 78 photos from the very first maiden voyage of the Highway in the Sky Dine Around event to the Mealtrip photo gallery. Each photo is well captioned so instead of writing a lengthy review of the event here... I would like to invite everyone to take a look at the photo gallery page. I would also like to extend a huge thank you to the other 22 guests and three Disney cast members that took part in the first Highway in the Sky event. I had an amazing time talking with everyone. I like waiting a few days (or a few weeks) after going to a new location or event like this, to give myself a chance to step back and mull over the entire event. While small tweaks happen here and there, the entire first run of this event (three months long, give or take) will mostly stay the same. Because of it's immediate popularity, there's a pretty good chance that it will continue after the initial booking period. From what I understand, the Highway in the Sky Dine Around event was completely booked solid within the two days of it being offered. I had fun. At the end of the day, that's what matters with events like this. 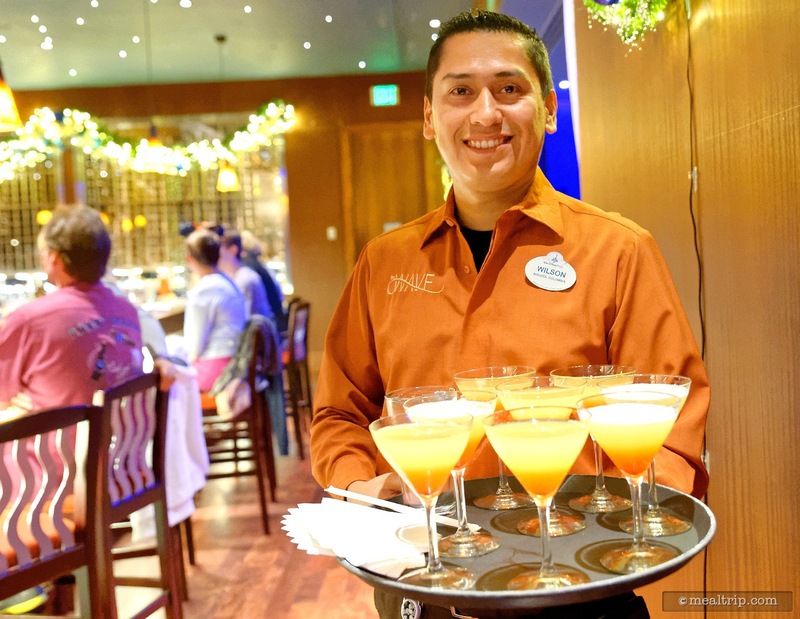 It was so much fun to have Chefs at the Wave and Trader Sam's make an appearance, mingle and interact with all 25-30 of the guests to talk about the food and the beverage pairings. In fact, I'd have to say that these first two courses (along with the fourth cheese board course) were the highlights of the event. If you are purely a foodie and have no particular bias toward Disney, the current price is already a little too high, in relation to what's being offered. That statement needs a bit of clarification. 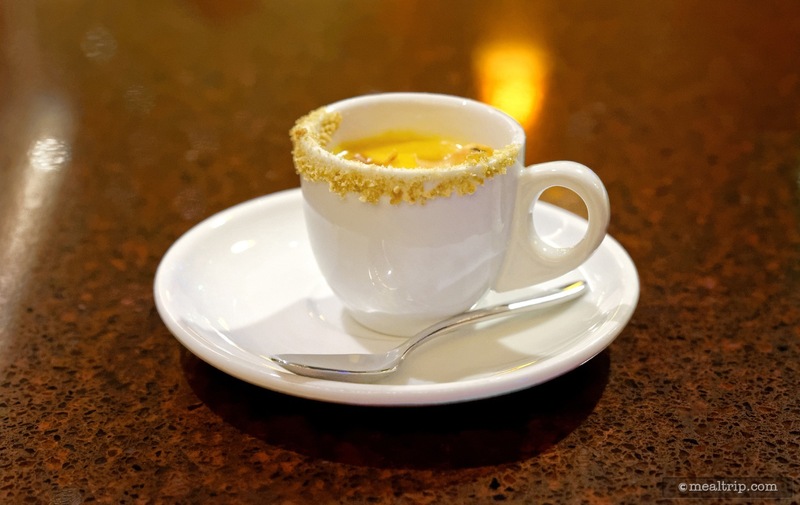 Foodies don't think about the cost as long as the experience, food and beverage offerings are unique and executed on a level that matches the cost of the event. Once past the $150 price point, a foodie purist is looking for more things that are unique and special to just that one event… because… this is a guided experience. You're not hiking through France here, you're on a "tour" and are being shown the "best of the best" that each particular location can bring to the table. If you don't like cocktails, you're out of luck at two locations. If you like the wine at Citricos and want more, you can't purchase another glass or a bottle for your table. It is a prix fixe menu, which is fine… but it did lead to what I found to be some very interesting conversation at the various stops. "Have you tried the such-and-such here? It's amazing", "We went here on our last trip and ordered the so-and-so, it was the best meal for the whole week." 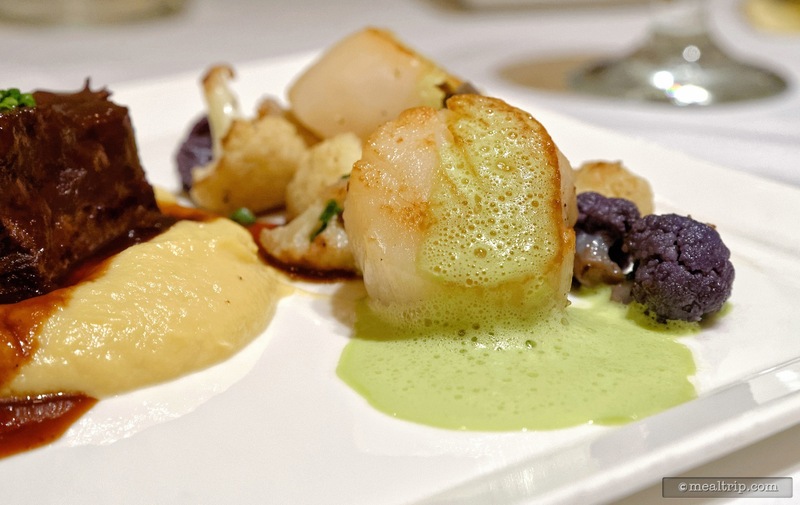 Only at one location, was anyone really talking about the small tapas style portions that were part of the Highway in the Sky event (which would be the first course's Pan-seared Scallop and Butternut Squash Purée at the Wave). The second course offerings at Trader Sam's get high marks from me just because they were the punchiest, most flavorful offerings of the night. They could have been larger portions though. The Roasted Beet "Salad" for example, was the size of a single fork. One beet, a few micro-greens, a single slice of radish and a small, almost decorative bloop of goat cheese. A perfectly balanced bite? Yes, absolutely… it was an incredible morsel. It was the kind of thing I would eat two or three of had I found these on a passed appetizer tray at a really nicely catered wedding reception. However, this second "course" stop did consist of what amounts to just three small bites… and one very large cocktail. The third course at Citricos was the largest. 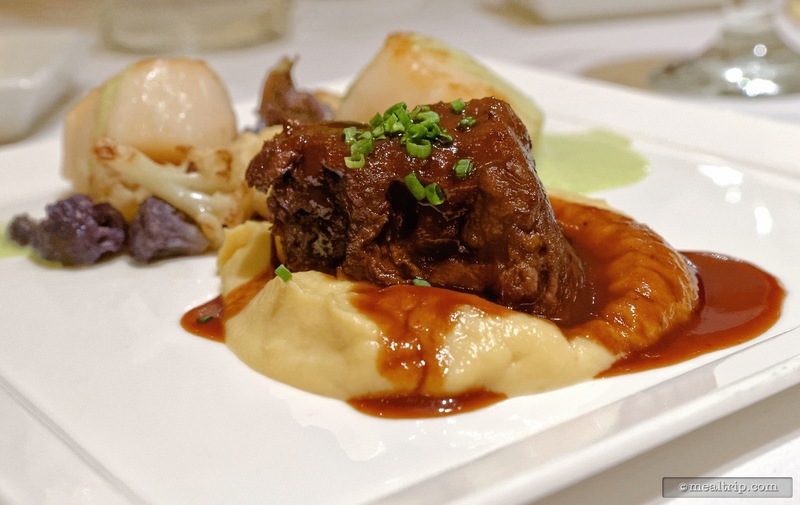 While being delicious, the surf and turf style plate (officially named "Braised Short Ribs and Scallops") are just smaller portions of two dishes normally available at Citricos' (depending on the season). This was the one location on our little tour that I would have expected to see and interact with the Chef. That, did not happen. 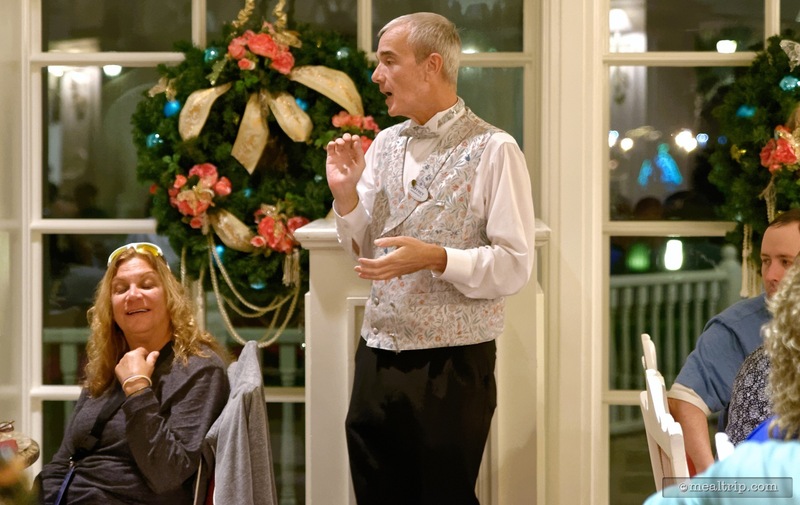 Again, as a Disney fan… it was a great course. As a foodie purist, it felt a little "phoned-in". This was the only location that offered wine. A small pour of red (LaVite Lucente), a small pour of white (Stonestreet's Chardonnay), or two even smaller pours of each in two different glasses. The fourth "cheese board" course served in the Garden View Lounge (which is actually Citricos' "appetizer" cheese board), would also get high marks from me because it is a good cheese board and I've never turned down a glass of Fairytale Cuvee Sparkling Wine. 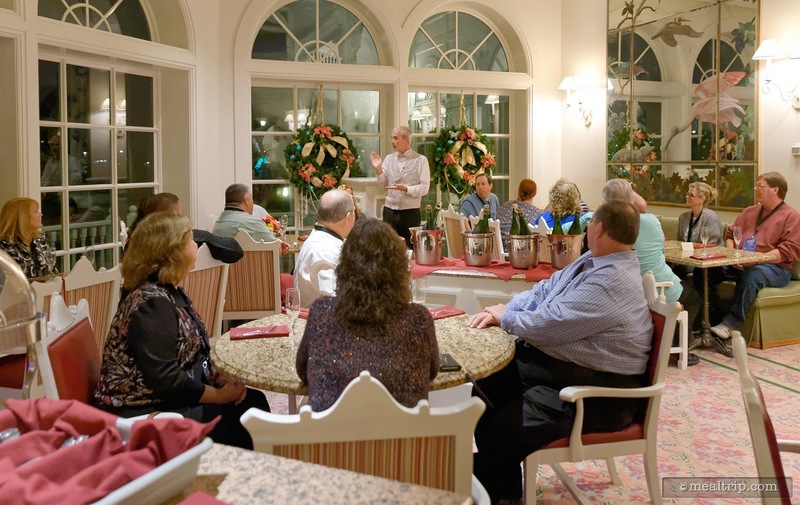 The final course (back at the Contemporary) took place on the 4th floor patio directly under the monorail track. The desserts (and very welcome coffee and cordials) were above par compared to other dessert parties that I've attended recently. The Blood Orange Cake and the dense, rich Organic Chocolate Flourless Cake were standouts, but the assortment of Macaroons were very good as well. A vanilla cream tart with mixed fruit on top round out the dessert selections. 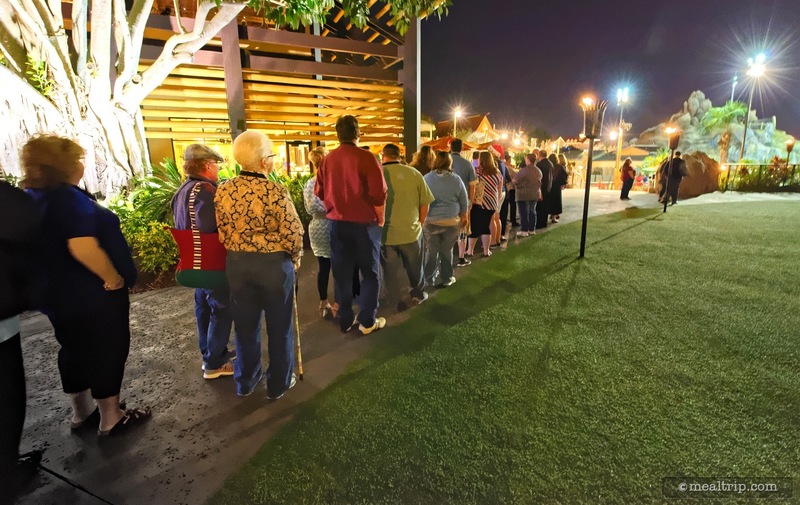 While the 4th floor deck area is large enough to provide a unique view of the fireworks to everyone, the location did only offer seating for 10 or 12 people and standing tables for everyone else. I'm sure this is to prevent "lingering" after the event has concluded... but maybe a little lingering time is what everyone is looking for. A place to sit and visit a bit more with everyone that you met that night might be cool. 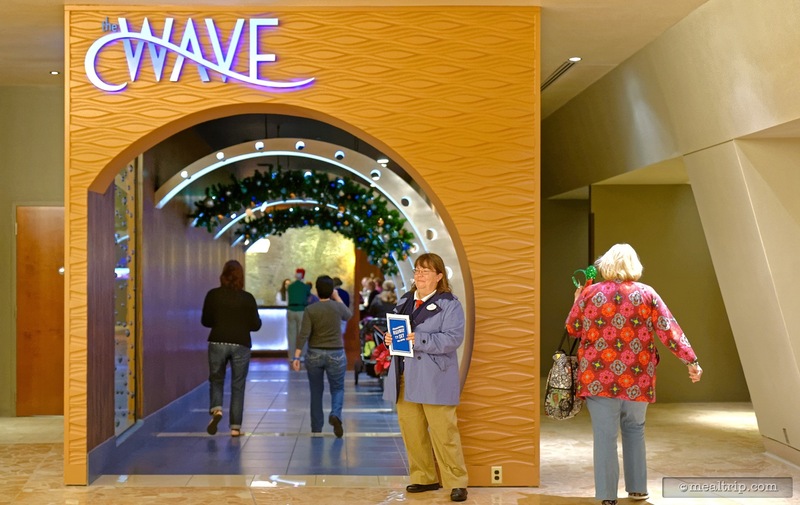 Maybe even keep the "lounge" space at the Wave reserved for the Highway in the Sky group as an optional (pay-your-own-way) after-party area of sorts... would be a welcome addition. Like most of these special events, your experiences outside the park system prior to the event, play a huge roll in how you will feel about this event. 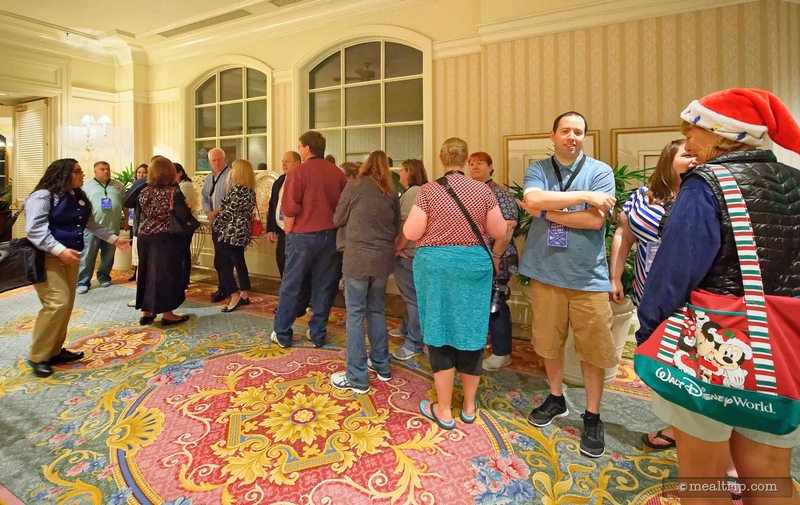 It is a very social gathering, with a fairly small number of guests, and so long as you don't have to think about the cost... it's a totally fun evening and well worth the time investment. It is really hard to compare Disney events to any other events... anywhere else in the world. 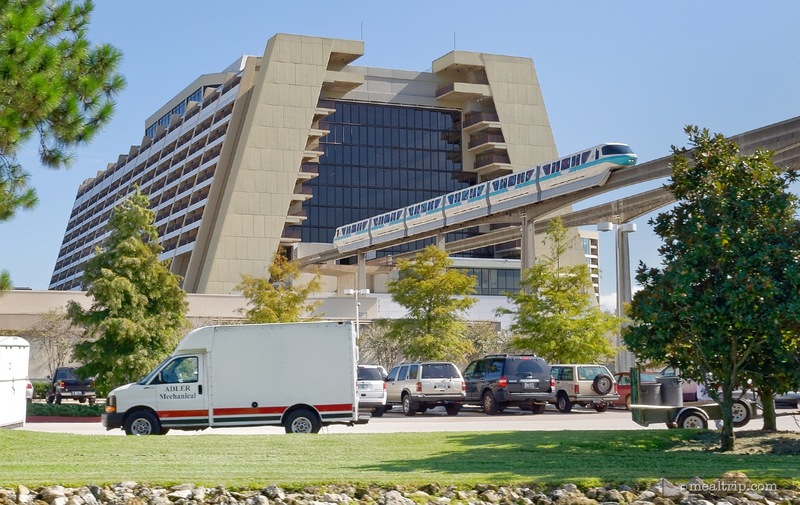 Where are you going to find a monorail that visits three world-class resorts? At the same time, for the foodie purist... if you were to present this meal as a five course offering, at one table, in one restaurant, without moving around... it would have a hard time existing. At the end of the day, I come back to a point that I made early on. I had fun. 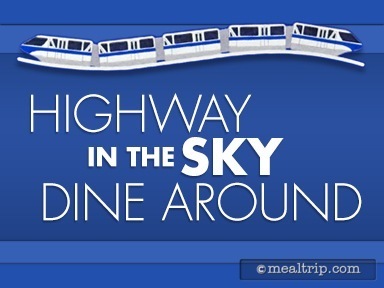 As such, I would totally recommend the Highway in the Sky Dine Around event to anyone visiting the Disney Parks and Resorts system here in Central Florida. Just as long as you understand the amount being charged isn't all going into the food and beverage. 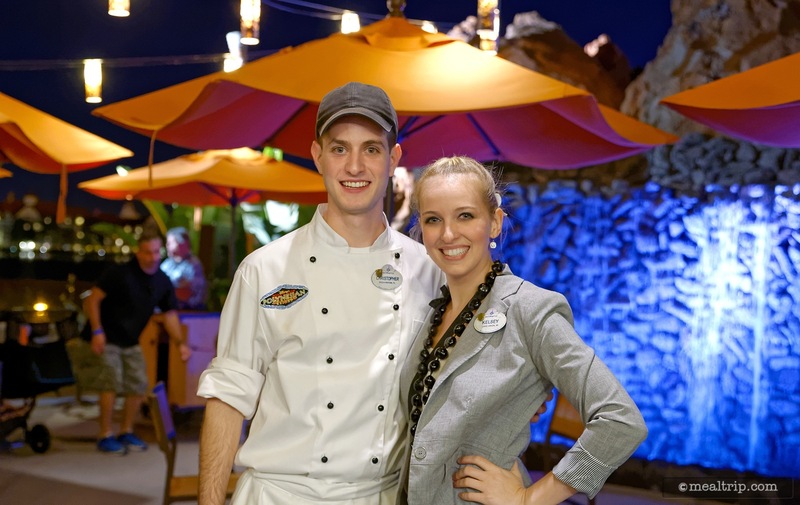 This is squarely a Disney Fan event, not a foodie purist event. I'm including the entire menu from the very first night's outing below this review. As far as I could tell, there were no "refills" or bottomless anything on the beverages and substitutions for food items were only made for specific dietary concerns (i.e. food allergies and/or gluten tolerances). 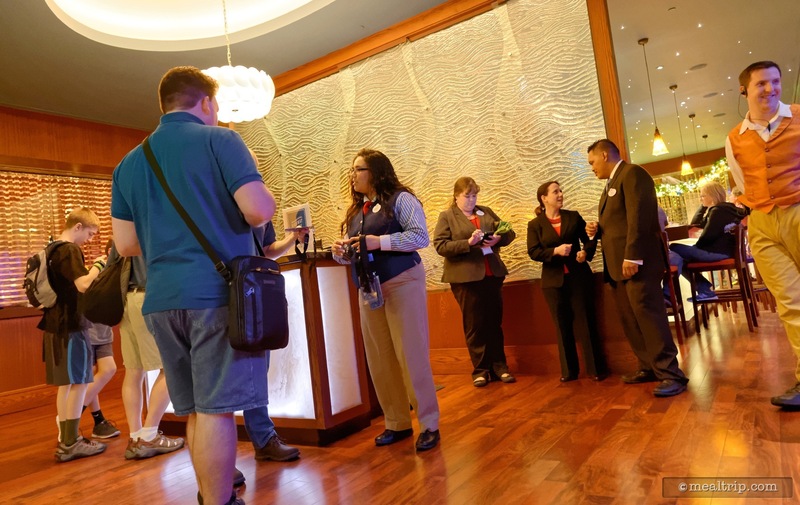 Don't forget to check out our photo gallery from the event, and if you've gone to the Highway in the Sky Dine Around, we would love to hear about your experience, and get a quick rating of the event from you! 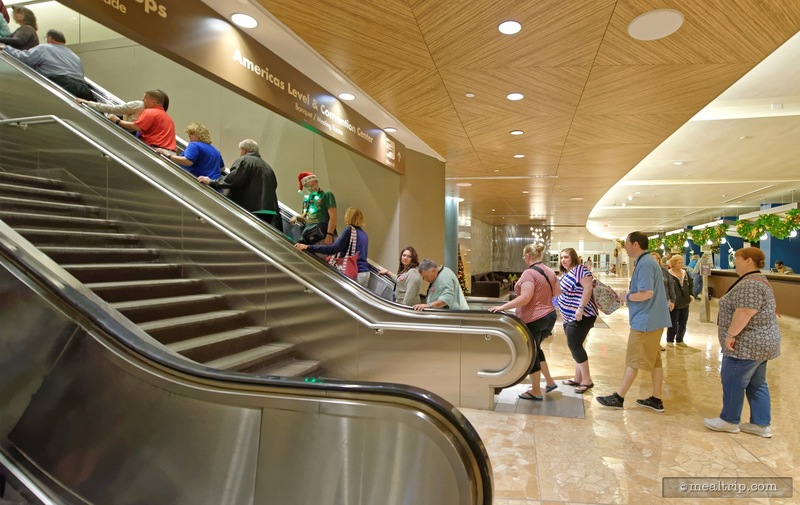 CLICK HERE to view all 78 images in our photo gallery.